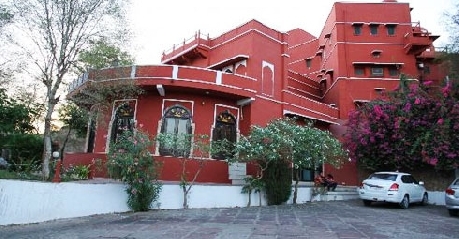 Hotel Jhoomar Baori Castle Ranthambore is a two star economy hotel which is located on top of the hill that is nearest to the Ranthambore National Park. It was the summer palace of the rulers of the Jaipur and the same was converted into a hotel by Rajasthan Tourism Development Corporation. From the hotels, the guests can have a breathtaking view of the Aravali Hills as well as the jungle. The hotel offers two kinds of accommodation namely AC Rooms and Suites. To satiate the appetite of the guests, the hotel has a multi-cuisine restaurant that serves delectable and sumptuous food. The hotel also has a bar for the guests to unwind. The hotel has a fully equipped conference hall and a business centre to cater to the needs of the corporate clients. The hotel also arranges for jungle safari and sightseeing trips. This hotel provides a homely atmosphere to its guests and it suits both business as well as leisure traveler. The traditionally designed rooms are elegant, well decorated and well furnished. These rooms are ideal for those who look for a good accommodation at affordable cost. 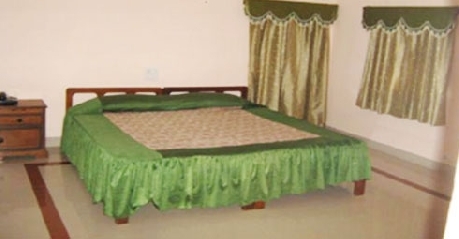 These rooms are also furnished with amenities like attached bathroom with 24 hrs hot/cold water, 24 hrs room service, telephone with direct dialing, housekeeping, laundry/dry cleaning, television with satellite/cable connection, air conditioner, safe deposit lockers, internet, doctor on call, parking and many other facilities to make the stay of the guests comfortable. These are spacious, luxurious and have an exclusive vintage charm. These rooms are also well adorned and well furnished. These rooms come with a living room and a separate bedroom. 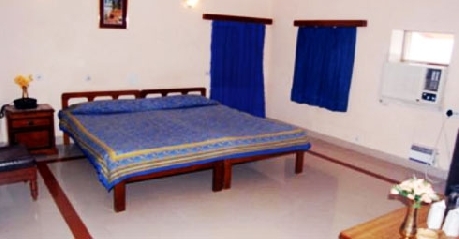 Other than these, the rooms are also provided with amenities such as 24 hrs room service, attached bathroom with 24 hrs hot/cold water, housekeeping, telephone with direct dialing, television with satellite/cable connection, laundry/dry cleaning, safe deposit lockers, air conditioner, parking, doctor on call, internet and much more facilities that will facilitate the stay of the guests. The 24 hrs delectable multi-cuisine on-site restaurant serves Indian, Chinese and Continental cuisines. The restaurant also serves local Rajasthani delicacies. All the food served is sumptuous and scrumptious and will really be a feast to your palate. The restaurant offers in room dining as well as dine in facilities. It is also opened to outside guests. Feast your palate to the maximum during your stay at the hotel. The hotel also has a well stocked bar that has wines and liquors from local Rajasthani, Indian and International. It is a perfect place to unwind and enjoy the evening. You can have a business chat by sipping your favorite drink with your client or colleague. Otherwise, you can just relax enjoying your drink with your friends. The bar also sets the right mood and ambience for the guests to relax and enjoy.